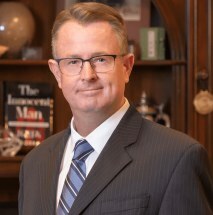 Attorney Quinton G. Pelley has been lauded by the National Criminal Trial Lawyers Association as one of the “ Top 100 Trial Lawyers in America.” Mr. Pelley has also been honored by Texas Monthly Magazine’s as a “Super Lawyer” and awarded the title of “Top 40 Lawyer Under 40 in Texas” by the National Trial lawyers Association. Mr. Pelley has memberships in the Dallas County Bar Association, Collin County Bar Association, Grayson County Bar Association, McKinney Bar Association, The State Bar of Texas, and is admitted to practice in the United State District Court – Eastern and Northern Divisions as well as in Supreme Court of Texas and all Courts in the State of Texas inferior thereto. Mr. Pelley in the managing partner of Pelley Law Office, L.L.P. and proud of its nearly 50-year tradition of excellence. Result: hired a translator for this deaf couple who also went with us to meet with the 341 Trustee Meeting and they received a quick and painless discharge of all of their unsecured debts.